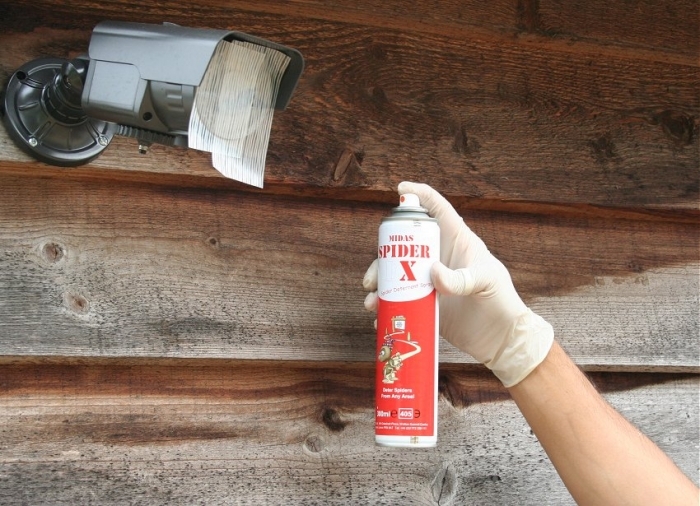 Spider repellent spray for CCTV cameras. 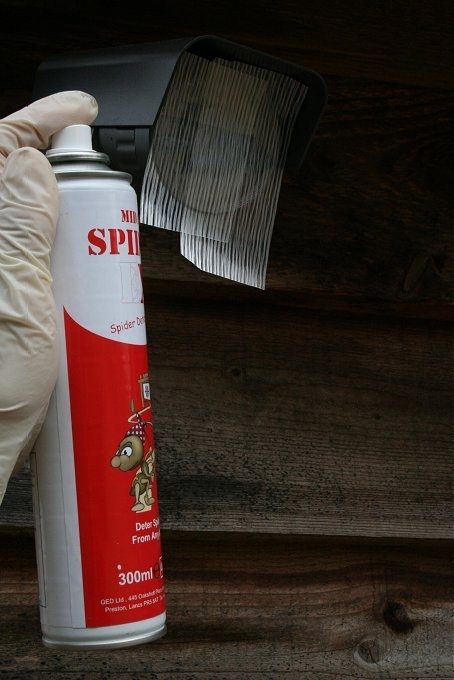 If you've got an arachnid problem who you gonna call? If only our English teacher could see us now! Arachnids or spiders to you and I, are a cctv camera's arch-enemy particularly at night when their webs, almost invisible during the day reflect your camera's infra red illumination back into the lens. This in turn triggers false motion sensed recordings and potentially obscures the the cctv camera's vision. When we first heard of spider repellent we were a little sceptical. We tested a couple of different products and weren't particularly impressed. We carried on looking and came across this product which really does work. 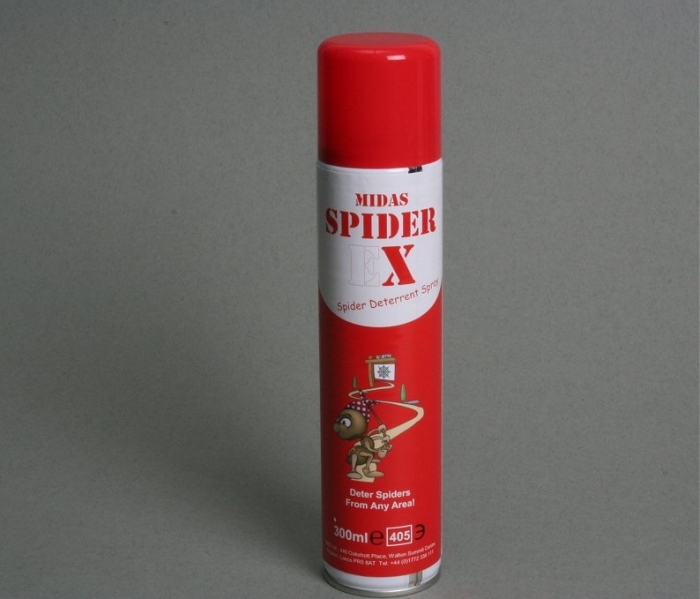 We've run back to back comparison tests and every time this spray managed to keep spiders at bay. We even sprayed half an area with the spray and left the remaining half untreated, sure enough no spiders on the treated half. 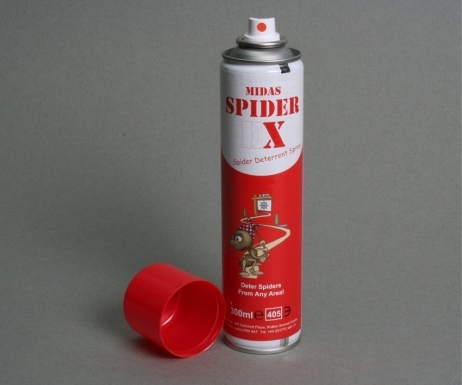 This product uses Permethrin as it's active ingredient and is designed to be sprayed onto the camera body where it dries to an invisible protective lacquer which keeps spiders at bay for up to 6 months depending on the environment. It is important to cover the camera's optical glass cover so as not to impair image quality. It should be re-applied as required. 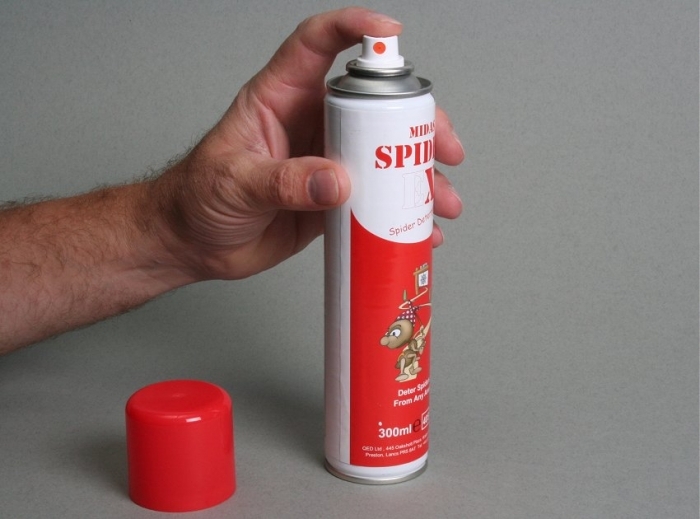 This product comes with full instructions on the can. Particular note should be made of the fact that Permethrin is harmful to fish and also cats so contact with either should be avoided. It should not be applied directly to animals, foodstuffs, food preparation areas or eating utensils. It should only be applied to the cctv camera body. Read full instructions on the can before use.